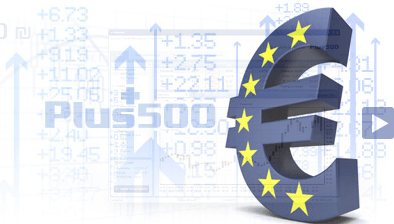 ForexNewsNow – Renowned European forex and CFD broker Plus500 just released its first financial statistics report after the company went public in July this year. The new report reveals an increase in revenues, profits and dividends paid out to shareholders. Financial trading service provider Plus500 revealed that during the first half of 2013 it managed to generate a total of $44.7 million in revenues. In comparison, the company only managed to generate a sum of $30.3 million during the same period of 2012, meaning that revenues grew with 47% this year. The company’s bottom line net profit during the first six month of this year were of $15.4 million, representing a very large increase of 59% compared with the same period last year. The average revenue generated per user in the first half of 2013 was of $898, much larger than the $722 in 2012. The report revealed that around 50,000 traders were actively engaging in financial trading at Plus500 during the first half of the year. During the first half of 2012 this number was of around 42,000 only. This clearly points out a solid growth in new trader acquisitions. The company also announced in the report that it had paid out a total sum of $8 million in dividends to shareholders. This sum represents 52% of the company’s net income. The venture revealed that it would always pay out not less than 50% from its net income to shareholders in dividends. Plus500 revealed that this performance was achieved due to the company’s innovative marketing program that mainly involved partnerships with third party marketers and affiliates. This way, most of the actual marketing activity was conducted by third party collaborators, allowing the company to focus on the betterment of its actual services. Likewise, the new report also revealed that the broker’s operating cash flow of this period was of $15.7 million as well as that net cash rose to $32.7 million, representing an increase of 27%. New customer numbers increased with a very high 22% and active users increased with 18%. Due to the rapid growth of the company, Plus500 announced in July 2013 that it would go public through an IPO on the London Stock Exchange. The IPO resulted in the company raising $75 million that will mostly be used on the development of new services and future expansion. This event made Plus500 one of the few GFD brokers to ever raise this much money in a public offering. Plus500 is a CFD broker that offers online trading services in a large number of countries. The company’s CFD trading portfolio allows traders to trade on more than 50 distinct forex currency pairs with no commissions and fixed spreads. Apart from forex, Plus500 gives traders the opportunity to trade on other assets as well such as commodities, stocks and indices. Traders will be able to deposit and withdraw money using multiple tools such as credit cards, Moneybookers, PayPal and more. The broker is licensed by the Financial Conduct Authority. The FCA is the UK financial trading service regulator that was created a few months ago when the UK government disbanded the Financial Service Authority (FSA).